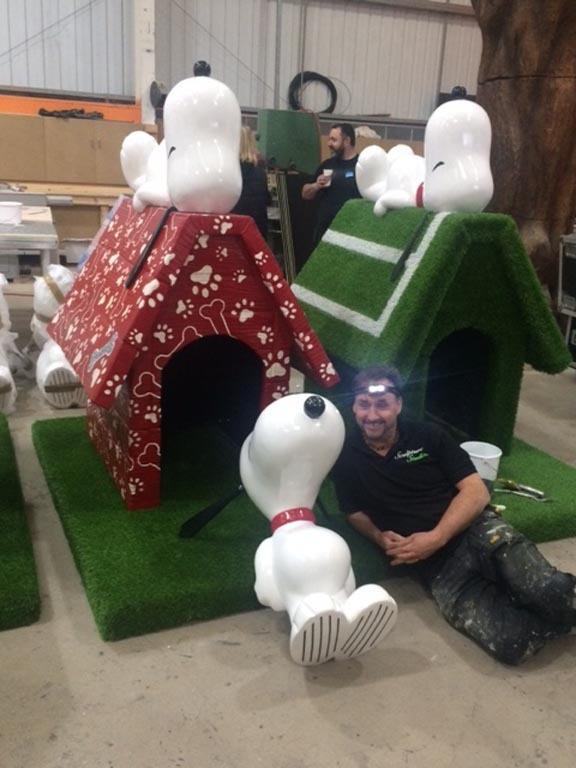 To celebrate the highly anticipated UK release of SNOOPY AND CHARLIE BROWN: THE PEANUTS MOVIE, Twentieth Century Fox teamed up with ITV Text Santa to raise money for their nominated charities, Save the Children, Macmillan Cancer Support and Make-a-Wish UK. 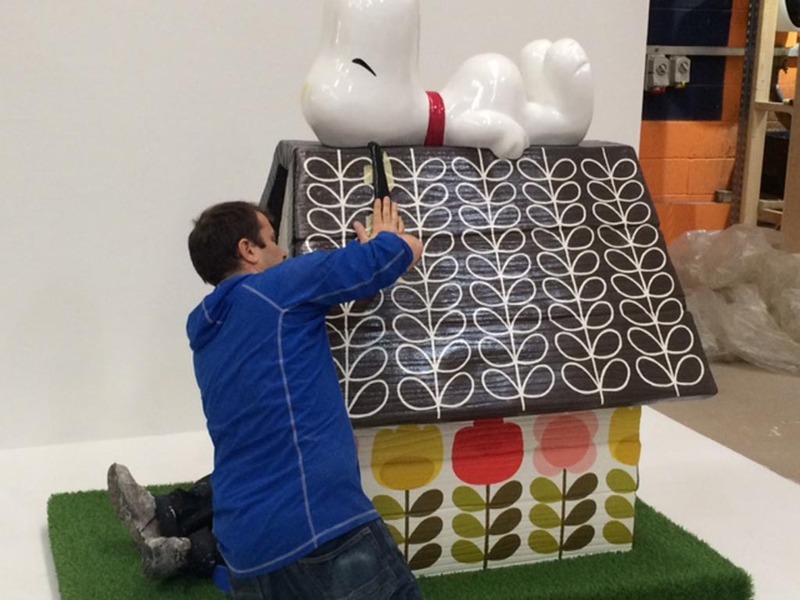 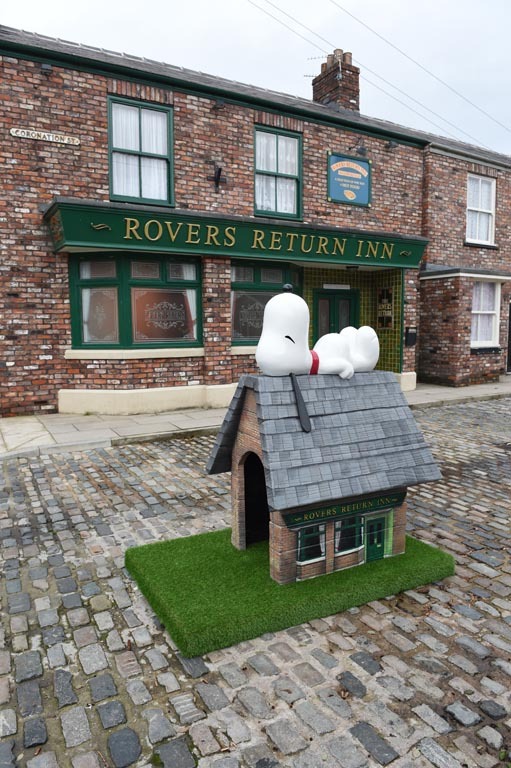 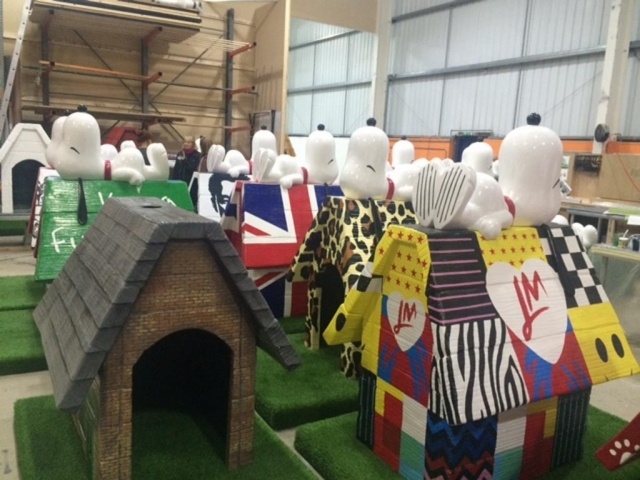 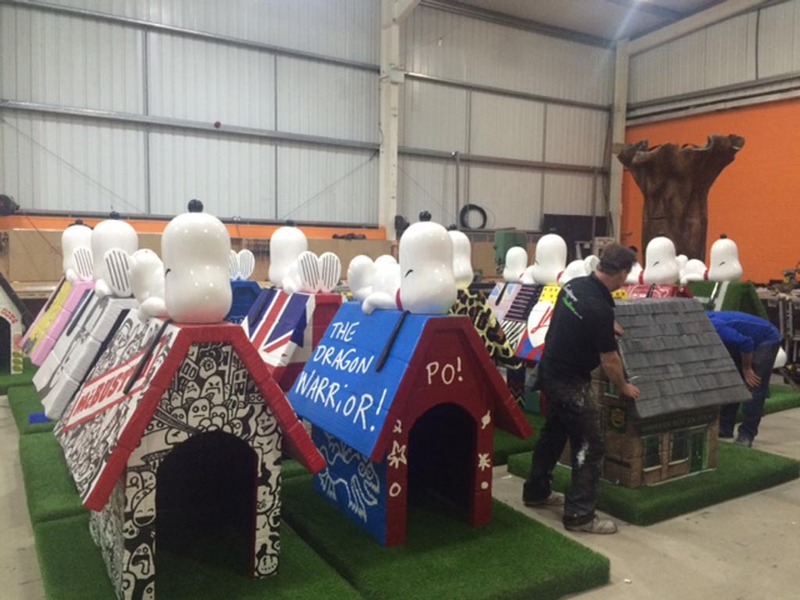 The concept was to create a series of 18 bespoke life size kennels in the theme of the iconic Snoopy lying on his kennel, which would then be personally designed by celebrities, before being taken on tour around the UK and finally auctioned off to the public to raise funds for these deserving charities. 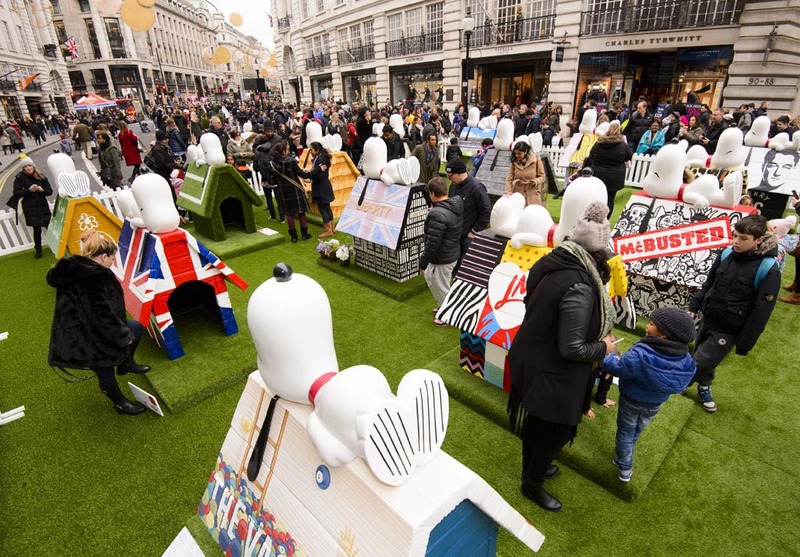 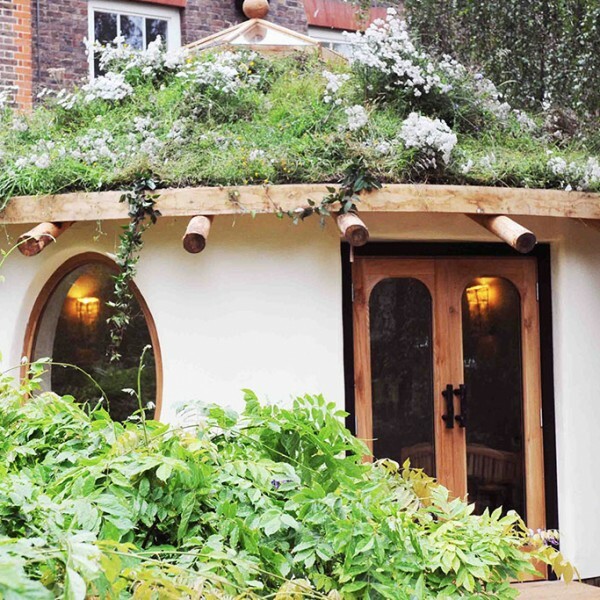 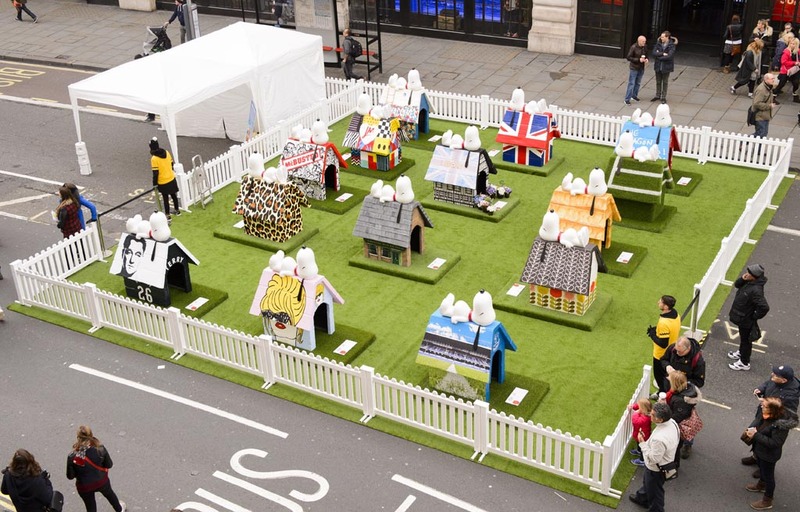 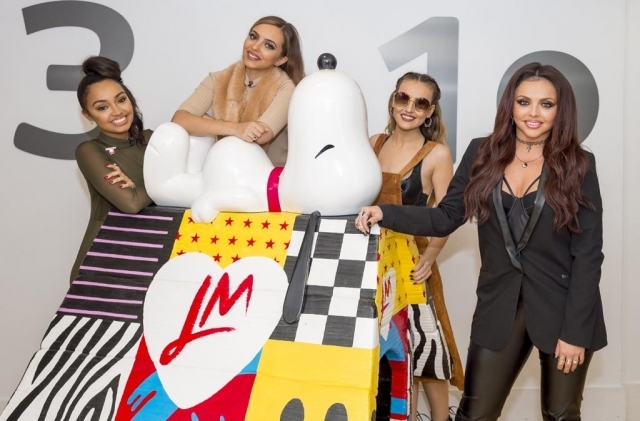 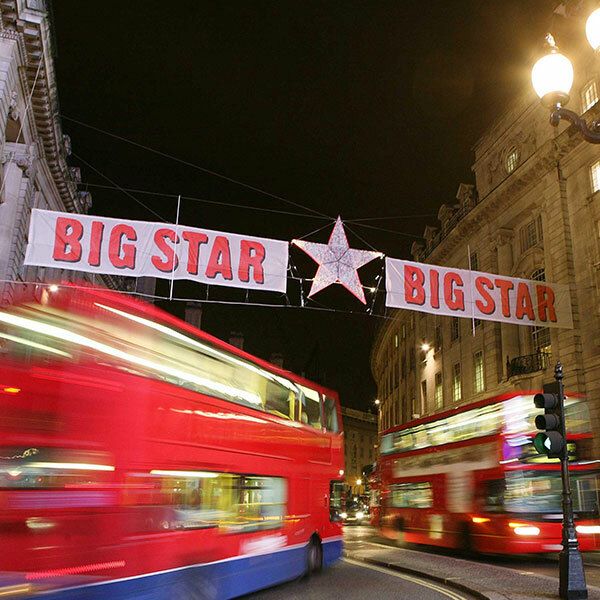 An eclectic mix of UK and International celebrities, including Jack Black, Joanna Lumley, Sharon Osbourne, Little Mix and Andy Murray, as well as brands including London department store Liberty and Snoopy’s creator Peanuts Worldwide, all redesigned the kennel to reflect their own personalities. 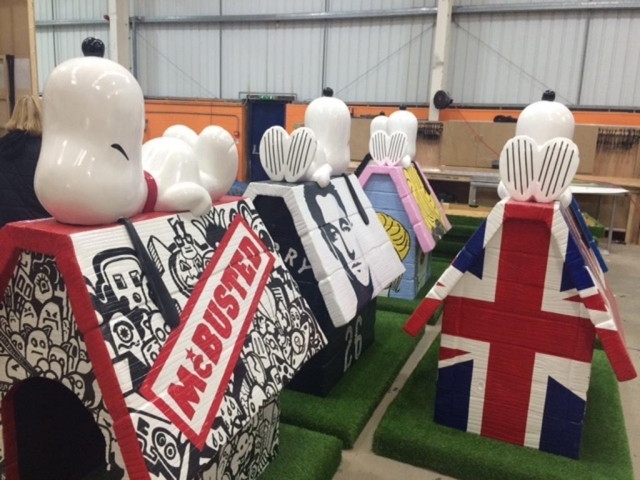 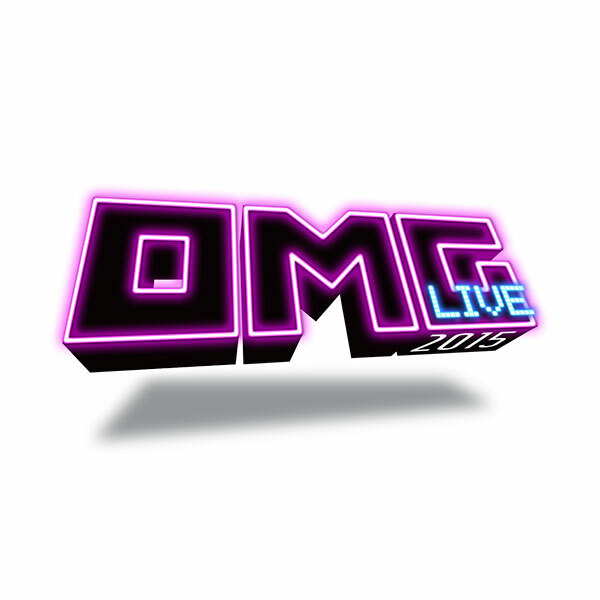 The EMO team were fully integrated into this project, from the creation of the initial kennel casts through to overseeing design & production and ultimately executing the successful national tour.